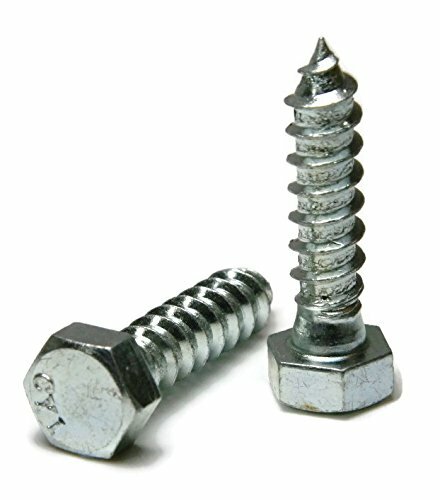 Lag bolts, also called lag screws, are basically "large wood screws". The head is typically an external hex. The materials are stainless steel for corrosion resistance. Lag bolts are used to lag together lumber framing, to lag machinery feet to wood floors, and other heavy carpentry applications. These fasteners are clearly "screws" when defined by the Machinery's Handbook distinction. The term "lag bolt" has been replaced by "lag screw" in the Machinery's Handbook. However, in the minds of most tradesmen, they are "bolts", simply because they are large, with external-hex heads. In the United Kingdom, lag bolts/screws are known as coach screws. View More In Lag Screws.